A very emotive subject, suicide. Sadly, recently brought to my attention by the news that a friend had attempted it. Thankfully she was found just in time and continues to live another day. No one will ever really know why she did it and if she really wanted to be found. We all like to think it was a cry for help and if rescued in time then maybe we’ve done our bit and can ease our conscience. But how would it feel to be ‘saved’, what if you really had decided that you just couldn’t go on and that it would be best for everyone involved if you just slipped away. Are we being the selfish ones ‘saving’ our loved ones from death? I have had a number of occasions during my life when I’d considered taking my own life, once through teenage angst and frustration, definitely a call for attention. 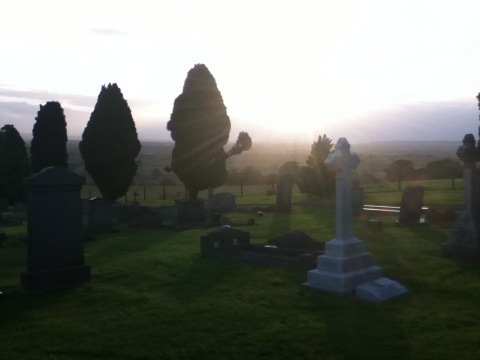 During a nasty phase of post natal depression I more seriously considered ending it all. Then more recently in the early stages of my current chronic illness. Each of these occasions, although I considered taking action, I chose not to each time and so not even my closest friends or family knew just how close I was to leaving them. It would have taken great courage to take that next step & although I had thought through various options, driving into a tree, hanging, drowning in the bath or using a knife, I couldn’t take that next step. Something always stopped me, the thoughts and despair would pass and within a short time life would enter a ‘good phase’ again & I’d wonder what on earth I had been thinking about & feel relief that I had decided to live another day. On hearing about this friend it got me thinking about the difference between us. How and why did she take that next step and manage to come so close to being successful? Like me, her life also looks blessed, healthy kids, happily married, supportive husband, nice home, lots of friends. So what stopped me from taking that next step, and not her? After some thought I realised it’s belief. I’m not an active member of any religion but I do have a strong belief that we’re all here to fulfil some kind of purpose and I can’t help feeling that if I were to ‘quit’ before I’ve finished my mission I’d be sent right back to the beginning and have to go through a life again! 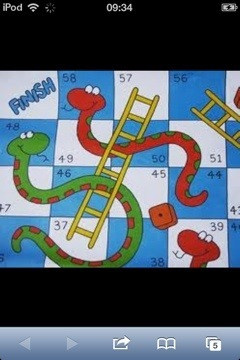 Think of snakes and ladders, suicide being that snake just before the finish. Love life as much as I do, the thought of ‘coming back’ and having to go through it all again fills me with such horror, the frustrations of childhood, adolescence angers, making & losing friends, stresses of studying, work, marriage, divorce, grief and motherhood. I have come so far and this time I just want to finish the job of living and when I finally pass away I will really be able to rest in peace. Is this belief the difference between my friend and I? I’m not altogether clear on what the various organised religions feel about suicide but am quite sure that the Christians at least frown upon it… Is it that fear that keeps Christians plodding on through adversity, is it only agnostics that commit the holy sin? I’d love this whole subject to be discussed more, death as a whole isn’t talked about enough, making it often ‘the elephant in the room’ and yet it comes to us all. I used to be so against euthanasia, until a few years of being mainly bed & house bound made me rethink my views. Do we get any clues when our work here is ‘done’, just how much is ‘enough’ and just when is it merely the darkest hour before dawn? I’d love to know how others feel about this entire subject, or am I alone in thinking about it at all? Previous What are you fighting? I’m so glad you got away and had the chance to refresh! Thanks Pepper, so am I, made the world of difference!